As the name implies, braided cheese refers to twisted lengths of cheese intertwined to create a thick round braid, similar to a braided rope. This cheese, much like string cheese, is a pliable variety that allows it to be formed into the braided shape. Common cheese varieties that are braided include mozzarella and asadero, which is a Mexican variety. 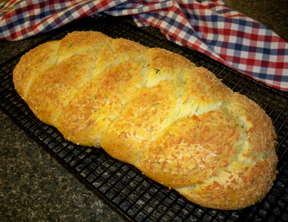 Several types of Armenian, Italian, and Syrian cheeses are also commonly produced as braided cheeses. Queso Campesino is a Mexican cheese that is most often categorized as an artisan cheese, mainly because it is primarily produced by smaller cheese processors. The term, Campesino, is a Spanish word that is used to describe a farm worker or farmer of modest means; therefore, the cheese is produced with simple characteristics: smooth and mild flavor, ordinary semi-firm texture, and a chalky-white modest appearance. Campesino Cheese is a good cheese to use for cooking, for adding to salads, or simply for snacking. This Mexican cheese gets its name from the state of Chihuahua in northern Mexico where the cheese originated. Made from cow's milk, Chihuahua cheese has a pale yellow color and a flavor that is a bit salty, slightly sour but relatively mild. When the cheese is aged, the flavor becomes tangier and sharper, similar to the taste of cheddar cheese. Since it has good melting properties, Chihuahua cheese is useful in cooking; yet the cheese holds together well when exposed to limited amounts of heat. Chihuahua cheese is commonly referred to as Queso Menonita, which is a type of cheese produced in the Mennonite communities near the city of Chihuahua, the capital city of the state of Chihuahua. In earlier years, Chihuahua cheese was made only by Mennonites, but it is now made in many areas of Mexico as well as in regions outside Mexico. Chihuahua cheese can be used for fondues, breaded fried cheese dishes (queso frito), egg dishes, enchiladas, or simply for snacking. It is commonly found in many of Mexico's food stores where the cheese may be formed into blocks, wheels, balls, or even braids of cheese. 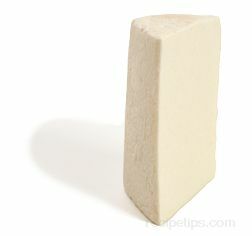 Cotija is a firm textured but somewhat crumbly white Mexican cheese. Traditionally, it was made from goat's milk but is now also made from cow's milk. Cotija is a hard ripened cheese with a closed texture. It is known for its distinctively salty flavor. As a fresh cheese, Cotija resembles feta cheese, having a similar crumbly texture. 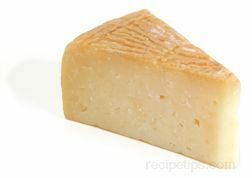 When the cheese is aged, it is often considered to be similar to Parmesan cheese, because its texture allows it to be well suited for grating. 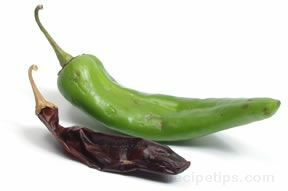 Since it grates well, it can be served as a topping for chili, enchiladas, lasagna, pasta, refried beans, or salad dishes. If Cotija cheese is not available, Parmesan or Feta cheese can be substituted. Cotija cheese is also known as Queso Anejado. 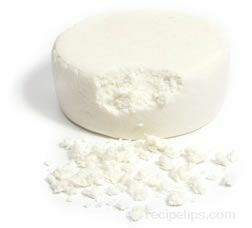 Duroblando is a firm-textured white cheese traditionally found in Mexico or in several Caribbean countries. The flavor of the cheese is quite strong. It also has a somewhat smoky taste. Duroblando is similar to Cotija cheese, as it grates well and can be served as a topping or added ingredient for chili, enchiladas, pasta, or refried beans. Menonita cheese is named for the Mennonites living in Chihuahua, Mexico. The Mennonites in this area are the cheese makers who originally produced this variety. The cheese is made from pasteurized and unpasteurized cow's milk. Menonita Cheese has a pale white color and a semi-firm texture. The flavor is very mild. Menonita cheese may also be referred to a Queso Menonita or Campresino Menonita, which refers to the compression techniques that are used to make the cheese. This compression method is similar to Cheddar cheese making processes. Menonita is a good melting cheese. 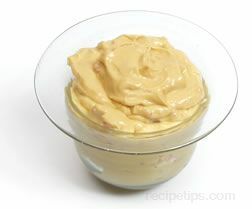 It is often used in baked foods, such as casseroles, as well as for hot cheese sauces. It is also a good snacking cheese. If Menonita cheese cannot be found, good substitutions are mild Cheddar, Gruyere, Gouda, or Muenster cheese. The term, Nachos, refers to melted cheese that is garnished with sliced chili peppers, which is a mixture that is traditionally served with tortilla chips. 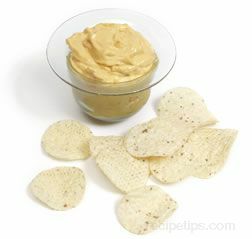 The cheese can be spread over the chips all at once or it can be served in a bowl to allow the chips to be dipped individually for eating. There are many variations of the Nachos dish, which include other ingredients that are added into the cheese, such as salsa or ground meat. One commonly available variation is Salsa Con Queso, which is a cheese and salsa mixture that is ready to be heated and served with tortilla chips. Oaxaca is a Mexican cheese that originated in the region of Mexico with the same name. It is made from cow's milk, has a color that is basically white, and has a texture that is semi-soft and somewhat stringy in texture. It is often produced in rope shapes. The flavor of the cheese ranges from mild to sweet and buttery. Oaxaca is a good melting cheese that retains its shape when heated. It becomes soft and stringy when baked, roasted, or grilled. Similar to Provolone, Oaxaca is a cheese used in a variety of recipes, especially roasted or baked Mexican dishes. The cheese can be served on sandwiches or as a topping for pizzas and nachos. Oaxaca is sometimes referred to as Asadero or Queso Oaxaca cheese.